Literature is 100% visible in the Clear View! 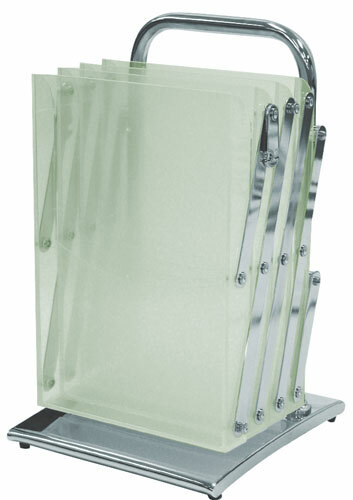 This 10" x 10.5" x 16" box-like device actually pulls up and locks in place to become a four-tiered literature holder. 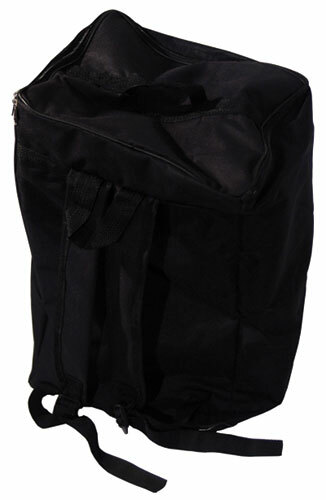 So compact, it fits into a zip topped carrying case that totes like a backpack. 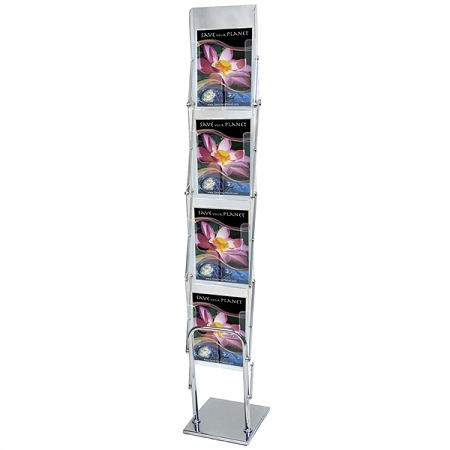 The attractive chrome base is incredibly sturdy, while the durable clear acrylic literature holders allow you to show off your printed materials. Feature: Overall Size - 9" x 56.5"